Combine the simplicity of the textbook-based approach with the flexibility of the unit study in this multi-level course for students in grades 5 to 8. Selecting homeschooling curriculum for teaching American history is easy with these excellent choices. American the Beautiful is a Christian-based course for one year of study. In Notgrass America the Beautiful, there isn’t a teacher guide. That’s because there is an activities list at the end of each lesson in the book. This list makes it very homeschool-friendly! 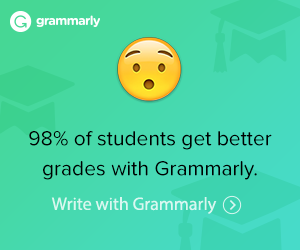 You and your student will be on the same page all the time—pardon the pun! There are 30 units in the course. Each unit has five lessons. Each lesson includes a list of activity choices with references to the individual components. The Answer Key has the answers. From the Notgrass Company, the America the Beautiful Set includes one of each of the following books. We the People consists of resource documents from American history used in this course. America the Beautiful Answer Key Includes Answers for the Timeline, Student Workbook, Lesson Review and vocabulary assignments from the main text. You will need additional books for the literature portion of the course. Most should be available at your public library, or you can purchase them separately below. Also available are two optional workbooks that will help measure your child’s understanding of the course material. Download Samples of the America the Beautiful components. Download Part 1 Sample Pages Opens in a new window at the publisher’s website. See Part 2 Sample Pages Opens in a new window at the publisher’s website. This one-year course covers American History, Geography, and Literature for ages 10-14. 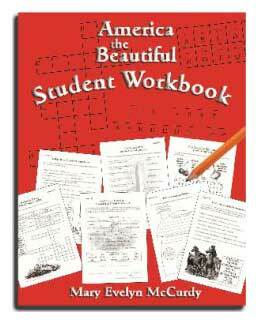 The Student Workbook is available for the additional student in 5th or 6th grades. Download Sample Activities Opens in a new window at the publisher’s website. The Lesson Review Book is available for the additional student in 7th or 8th grades. Download Sample Pages Opens in a new window at the publisher’s website. 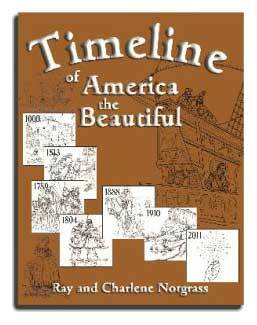 The Timeline for Notgrass America the Beautiful is available for the additional student. See Sample Timeline Pages Opens in a new window at the publisher’s website. 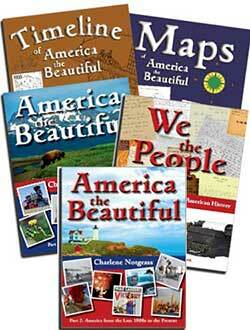 An extra set of Maps for Notgrass America the Beautiful is available for the additional student. Download Sample Maps Opens in a new window at the publisher’s website. The Notgrass America the Beautiful Answer Key includes Answers for the Timeline, Student Workbook, Lesson Review and vocabulary assignments from the main text. 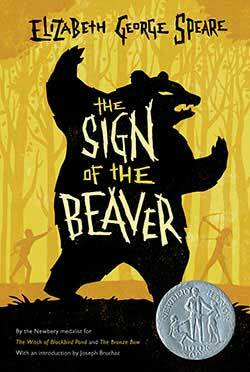 The Sign of the Beaver is used in Units 4 and 5 of America the Beautiful Course. Left alone to guard their newly built cabin, young Matt meets a new friend and learns new ways to survive in the forest. Read The Sign of the Beaver for Units 4 and 5. Amos Fortune, Free Man tells the story of an American slave. Born the son of an African king, slave traders captures him when he was 15. Amos Fortune dreamed of freedom as he worked as a slave for 45 years. When he was age 60, he finally began to see those dreams come true. Reas Amos Fortune, Free Man for activities in Units 6 and 7. Brady must make his decision about the slavery controversy when he discovers an Underground Railroad station near his family’s farm. Your student will read Brady for Units 9 and 10. You will need Bound for Oregon in Units 12 and 13. Across Five Aprils “presents the unforgettable story of Jethro Creighton—a brave boy who comes of age during the turbulent years of the Civil War. Across Five Aprils is used in Units 14 and 15. You need Little Town on the Prairie in Units 16 and 17. All-of-a-Kind-Family is the story of a family with five daughters who lives in New York City at the turn of the last century. You need All-of-a-Kind-Family in Units 19 and 20. You need Blue Willow in Units 21 and 22. Homer Price takes place in small-town America. You need it for Unit 25. Katy is the story of a loving family who might homeschool. You will read Katy in Units 29 and 30. 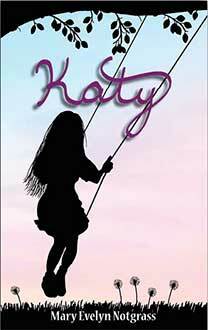 Download a Sample Chapter of Katy Opens in a new window at the publisher’s website.